This is a guest post by Allen Grane, research associate for the Council on Foreign Relations Africa Studies program. 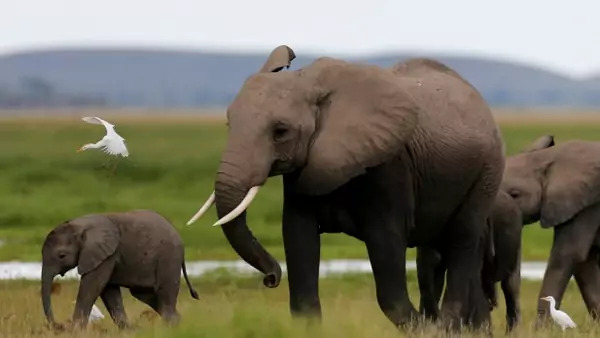 On August 31, The Great Elephant Census announced disturbing news: the African savannah elephant population is approximately 350,000, down from about 470,000, The study showed a 30 percent decline in the population between 2007 and 2014. This represents an 8 percent annual decrease in savannah elephant numbers, largely due to poaching. At the same time the Census released these numbers, an article in the Journal of Applied Ecology announced that African forest elephant reproduction rates are much slower than once thought. Forest elephants, a distinct sub-species of African elephants found most often in Central African rainforests, suffered a 62 percent decline between 2002 and 2011. These forest elephant populations were not accounted for in the Great Elephant Census, but are also subject to poaching. The researchers conclude that based on forest elephant reproduction rates, it would take ninety years to return the population to pre-2002 levels. That is, if poaching stopped completely. With all of this in mind, the upcoming conference of the Convention on International Trade in Endangered Species (CITES) is more important than ever. In a non-binding decision at the recent International Union for Conservation of Nature (IUCN) congress, nations and environmental groups agreed to close the domestic trade in ivory, despite protests from Japan and South Africa. However, it is important for nations to keep up the momentum and seek ever stricter enforcement. Members of CITES must come together to develop a comprehensive, global solution to prevent the loss of what African elephants still remain in the wild.